There’s been some big news in the last week or so from Matt Cutts, the Search Quality guru for Google who specializes in search engine optimization issues. His big news – that guest blogging is dead – led to an explosion of blog posts and videos regarding the death of a popular practice primarily done in order to build links back to a website and improve results in search rankings. To be fair, we were in a bit of a tizzy about the news too. Like our contemporaries, we have used guest blogging as part of an overall marketing strategy to help our clients build their online reputations. And our biggest question was, what does this statement – stick a fork in guest blogging because it’s dead – mean for our clients? What is the Purpose of Guest Blogging? What does anyone want to do when they appear on the scene of their chosen profession? They want to build a base of returning customers in order to sustain a growing business. They want to build a strong reputation in their field. They want to communicate high-quality messages to those looking for that particular information. These are all very good and noble goals when it comes to placing articles with links on websites that are in or care about your niche. But is the purpose of guest blogging just to get links? It shouldn’t be – and if that’s been the goal, then it’s time to re-evaluate and make some changes. Guest blogging, like everything else on the web, is susceptible to becoming spam. For every high-quality blog that posts articles from guest authors in order to build relationships with an audience, there are sites that exist just for the purpose of posting guest posts to build traffic. What should we be doing now when it comes to content marketing for small businesses? 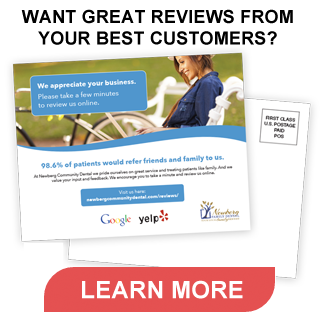 How can we continue to improve rankings of local businesses so that customers can find them? What is/will be the latest trend of search engine optimization efforts? My husband and I have been meeting with a financial planner in order to more readily secure our financial future. We are in our early forties, and age 62 doesn’t seem as far away or impossible to reach as it once did. We have been planning for retirement since we got married, taking classes and absorbing information. If there is a single most important strategy to pinpoint, I would have to say it is to diversify. Diversify, diversify, diversify. Just like it’s not a good idea to lump all retirement money into a single place – say, under the mattress or in one bank account – it’s also not recommended to put all of your link-building eggs in one basket. Content marketing is both an integrated marketing strategy as well as part of a larger marketing strategy picture. If you’ve got a foundation of good content, why not diversify it as much as you can in order to maximize its use? So what are the different ways to leverage good content? Develop integrated marketing campaigns. On what channels – contemporaries and social media – do you want to be found? Stick with quality rather than quantity. If you want to guest post, do a few and place them on high-quality sites. Respond to comments and promote, promote, promote your post. Evaluate your current website. It might be time for a new design or to refresh your content. Figure out what SEO improvements to be made, content that needs to be edited or thrown out and written fresh, and photos to be updated. Invest time and energy in your own blog to build an audience. This takes time. Get into new media, including something you haven’t tried before: podcasting like these guys at PNR This Old Marketing podcast, try setting up a Youtube channel, create infographic to communicate data. Leverage social media sites. Matt Cutts also said last week that social media data is not part of the larger Google algorithms, but it will be. Make sure social media icons are easy to find on your site so the content is easy to share. Gather data – create content for the data you’re collecting. When it comes to Google and content marketing, this is not going to be the last big change. I will probably end up making more graphics – like the RIP grave stone above – to help us laugh as we cope. And you don’t have to go it alone – give us a shout if Local Fresh can help!